MotoGP is the peak of two-wheel motorsport thanks to the speed, the sound and the emotion. 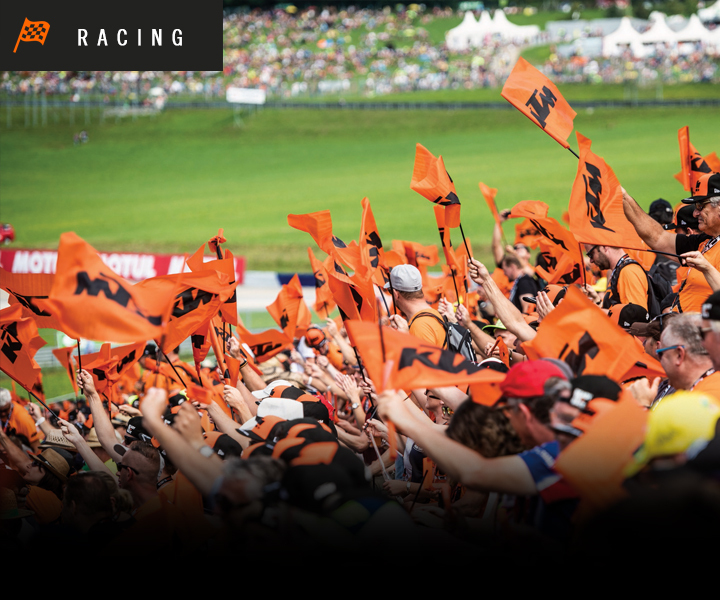 Battling on the best tracks in the world, there is no purer spectacle – and now you get closer to the heart of the action with KTM UK announcing a KTM FAN STAND and complimentary KTM FAN PACKAGE at the Silverstone round of the series. No matter the class, the best riders in the world battle on machinery that is engineered to perfection. With the RC16, KTM has picked up the gauntlet and in just two years risen towards the head of the pack in MotoGP. Through hard work and total dedication, KTM has mastered the biggest challenge it has faced yet. But that's not all. KTM lives motorsport. That's why KTM is the only manufacturer on the starting grid of all three MotoGP classes. 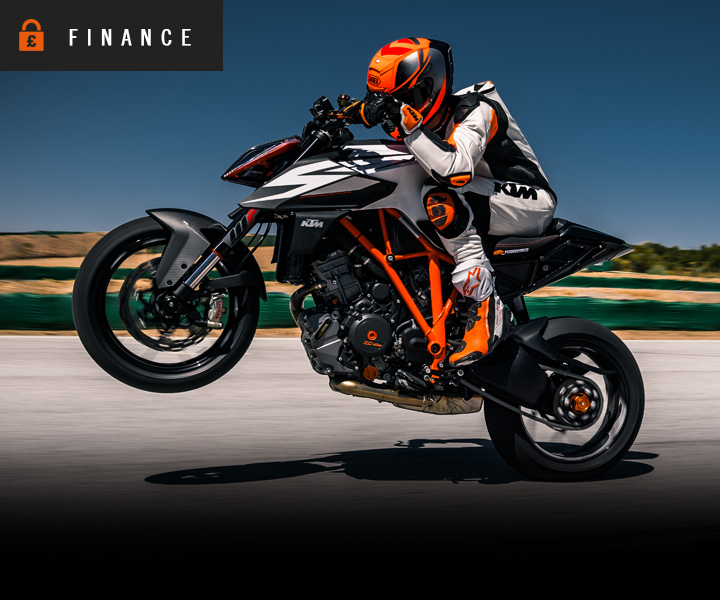 There's no better way to experience this spectacle – the quest for the perfect lap, the scrap for every second, the rivalry between the world's best motorcycle riders, and high-speed overtaking manoeuvres – than with the KTM FAN PACKAGE. Show the world that your blood flows orange and support your favourite riders in MotoGP, Moto2 and Moto3. The KTM FAN STAND at Silverstone will be in Copse A, so you'll get to see all the action of turn one, one of the greatest corners in the world. Each rider will be braking from over 280kph to make the corner, so from the tension of the start to the euphoria of the chequered flag, you'll see it all. There's also a giant screen to keep you across all the action. You'll be in great company too, as you'll be sitting alongside the rest of the KTM family in this covered stand. The weekend and Sunday ticket both offer the KTM FAN PACKAGE, so the choice is yours. If you choose the weekend option you'll even get access to the Clean Bandit concert on the Saturday night. 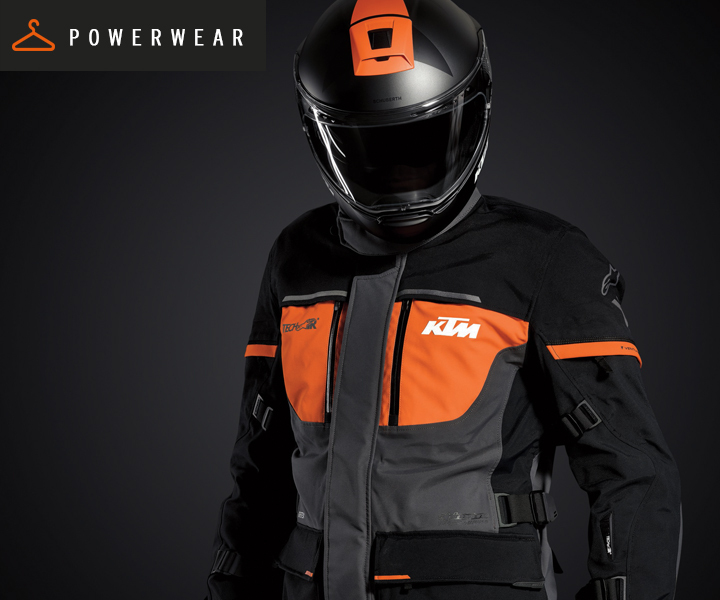 The packages will be available to be picked up on the morning of the race (Sunday), so you will have time to get clothed in Orange and support the KTM Factory Race teams all day long.